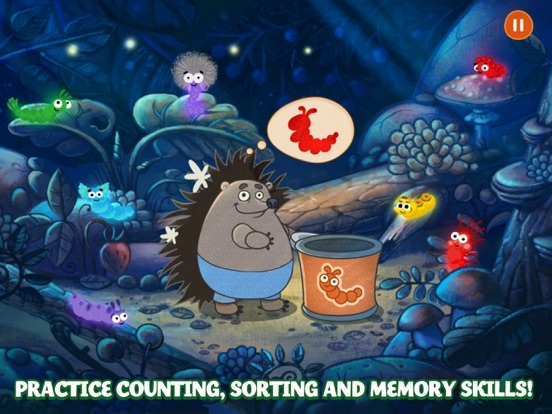 Forestry is a pleasant app that will have children solving puzzles, following directions and using their attention and observation skills to help the animals find food, build homes, and more. 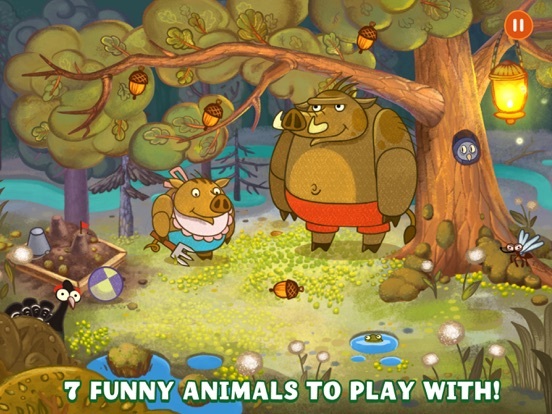 It’s a great gentle introduction to the lives of real forest animals and fun to play. 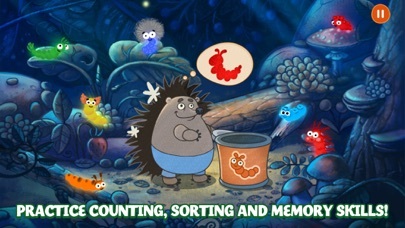 The free download includes one animal and activities, but more are available as in-app purchases. 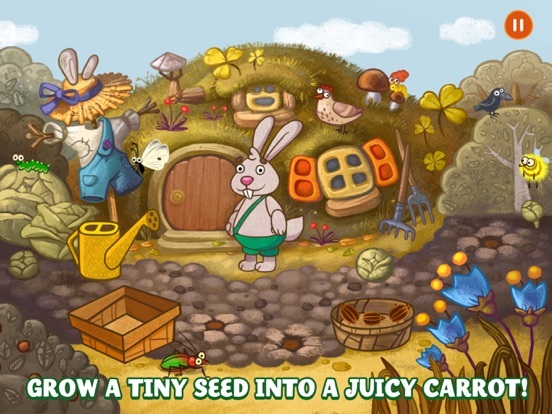 Forestry is a fun app that will help young children learn to pay attention, be observant, and follow directions. All aspects of the app perform as expected, with no glitches or problems. Navigation uses a set of simple labeled buttons, and the instructions are in picture form that will be very clear to young learners. The interactions work well and are related to the concepts on which the app is focused. It does seem as though the home screen and the menu could be combined; it would be nice if children could start playing directly after opening the app. This app will help young children with many of the foundational skills important to school success. Activities build attention skills, interpreting symbols, following directions, observation and more. 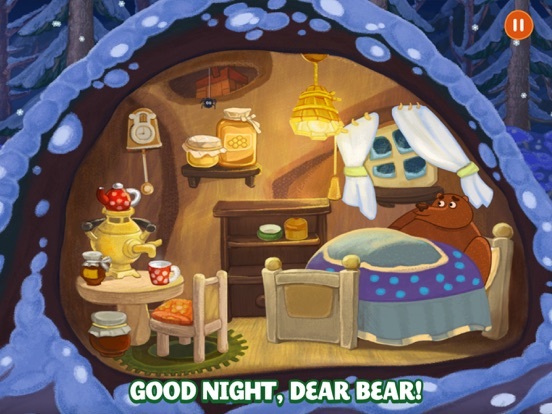 The free “starter” includes one forest animal (the bear) and four interactive activities that will give parents and children alike a clear idea of what the app does and how it works. 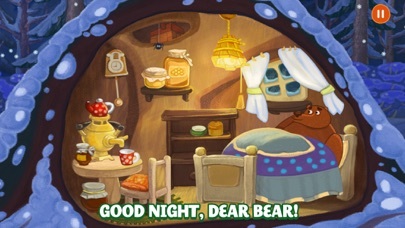 The bear needs to gather berries, collect honey, go fishing, and then get ready to hibernate. All of the directions to young users are in thought bubbles expressed in pictures, so it’s very easy to figure out what must be done in each activity. This makes it perfect for pre-readers! Additional animals with their companion activities are available separately or in a bundle at a discount as an in-app purchase. 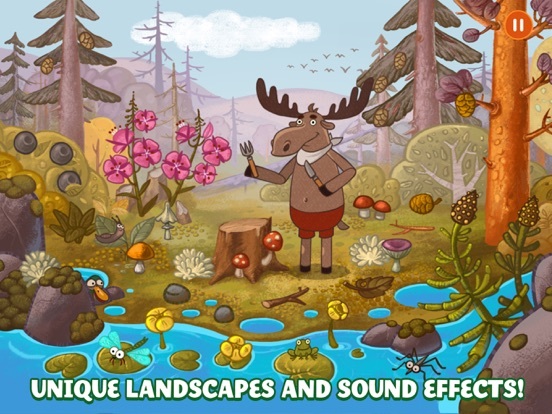 The entire set offers six animals and fifteen games that will teach children about various aspects of life in the forest in a fanciful yet realistic manner, as well as hone several readiness skills. The games are simple, but entertaining. Though each is “checked off” when completed, users can go back and redo them if desired. It would be nice for developers to include a way to reset the app so that the checkmarks could be earned again and again. 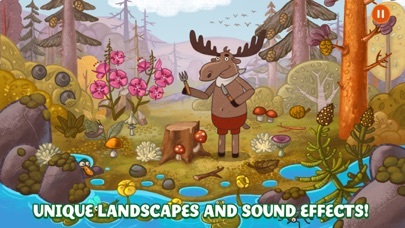 Forestry is a very entertaining and engaging app designed for preschool aged children. 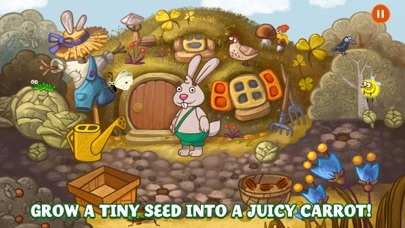 The illustrations, animations and background sounds are all delightful, and the games are entertaining. They require a variety of skills, such as observation and eye-hand coordination, so they are likely to keep the interest of the child and will probably be played over and over again. 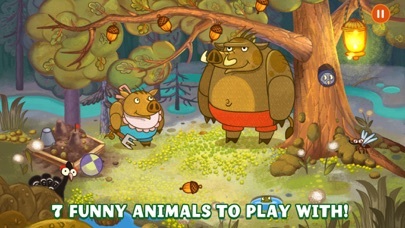 Young American children will be intrigued by the variety of animals in the purchased pack, which includes a hedgehog and a boar as well as the more familiar bear, squirrel and beaver. All in all, it’s a fun and entertaining game that will likely be played more than once. 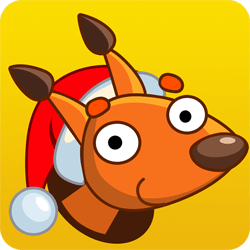 The app is free to download and comes with one animal and four interactive games. There are five other animals, each with new games, that can be purchased individually for 99 cents or the entire set can be purchased for $2.99. The individual ones seem to be a bit expensive for the amount of content and playing time likely to be involved, but the bulk purchase would be a much better value. While it’s nice to have the sample so readily available, users should understand that it is only a sample, and that additional activities will need to be purchased to extend the value and life of the game. Forestry contains no outside advertisements, links to the open internet, email connections, or links to social media. However, it does contain in-app purchases, and these can be seen by young players. Tapping a character that has not yet been purchased opens the screen that displays all of the set and gives the option of buying individuals or the bundle. If the user attempts to purchase, there is a parent gate requiring addition of two random single-digit numbers, followed by a pop-up to enter the user’s App Store password. Preschoolers are not likely to be able to access the purchase process, but a young elementary student (kindergarten or grade one) may well be able to answer the simple addition problem. It would be better if the unpurchased characters were not available for children to see unless their parents choose to purchase them, avoiding the frustration of choosing a character that is unavailable.